How have we let our fears get the better of us? What’s the difference between fear and anxiety? 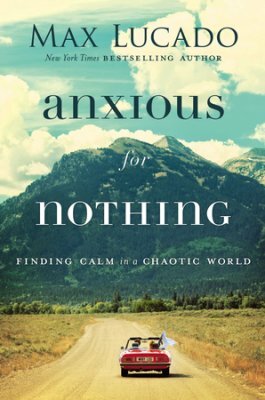 What does it mean to be anxious for nothing? 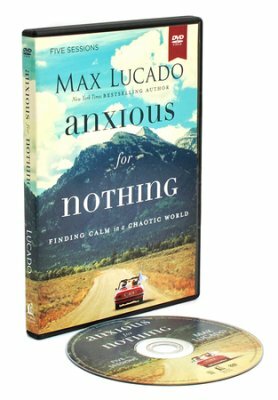 In this Q&A, Max Lucado (@MaxLucado) talks about his book, Anxious for Nothing: Finding Calm in a Chaotic World (Thomas Nelson, 2017). How common is anxiety in American society? 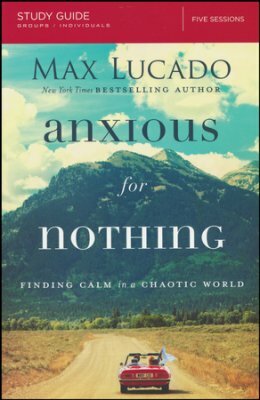 Max Lucado: Anxiety disorders in the United States are the number one mental health problem among women and are second only to alcohol and drug abuse among men. Some say the United States is now the most anxious nation in the world. The land of the Stars and Stripes has become the country of stress and strife. This is a costly achievement. Stress-related ailments cost the nation $300 billion every year in medical bills and lost productivity, while our usage of sedative drugs keeps skyrocketing; just between 1997 and 2004, Americans more than doubled their spending on anti-anxiety medications like Xanax and Valium, from $900 million to $2.1 billion. The Journal of the American Medical Association cited a study that indicates an exponential increase in depression. People of each generation in the twentieth century “were three times more likely to experience depression” than people of the preceding generation. Max Lucado: Change, for one thing. Researchers speculate that the Western world’s “environment and social order have changed more in the last 30 years than they have in the previous 300.” Think what has changed. Technology. The existence of the Internet. Increased warnings about global warming, nuclear war, and terrorist attacks. Changes and new threats are imported into our lives every few seconds thanks to smartphones, TVs, and computer screens. In our grandparents’ generation news of an earthquake in Nepal would reach around the world some days later. In our parents’ day the nightly news communicated the catastrophe. Now it’s a matter of minutes. We’ve barely processed one crisis, and then we hear of another. In addition, we move faster than ever before. Our ancestors traveled as far as a horse or camel could take them during daylight. But us? We jet through time zones as if they were neighborhood streets. Our great-grandparents had to turn down the brain sensors when the sun set. But us? We turn on the cable news, open the laptop, or tune in to the latest survival show. What’s the difference between anxiety and fear? 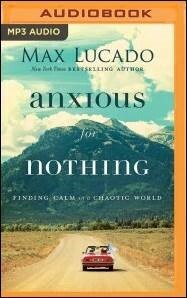 Max Lucado: Anxiety and fear are cousins but not twins. Fear sees a threat. Anxiety imagines one. Fear screams Get out! Anxiety ponders What if? Fear results in fight or flight. Anxiety creates doom and gloom. Fear is the pulse that pounds when you see a coiled rattlesnake in your front yard. Anxiety is the voice that tells you, Never, ever, for the rest of your life, walk barefooted through the grass. There might be a snake…somewhere. 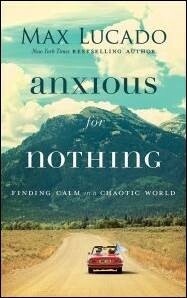 In Philippians 4:6, the apostle Paul wrote “be anxious for nothing.” Isn’t that kind of extreme? The presence of anxiety is unavoidable, but the prison of anxiety is optional. Anxiety is not a sin; it’s an emotion. (So don’t be anxious about feeling anxious.) Anxiety can, however, lead to sinful behavior. When we numb our fears with six-packs or food binges, when we spew anger like Krakatau, when we peddle our fears to anyone who will buy them, we’re sinning. Do Christians struggle with the myth that they shouldn’t ever feel worried or experience anxiety? Max Lucado: Yes! We’ve been taught that the Christian life is a life of peace, and when we don’t have peace, we assume the problem lies within us. Not only do we feel anxious, but we also feel guilty about our anxiety! The result is a downward spiral of worry, guilt, worry, guilt. You long to be “anxious for nothing.” You long for the fruit of the Spirit. But how do you bear this fruit? Try harder? No, hang tighter. Our assignment is not fruitfulness but faithfulness. The secret to fruit bearing and anxiety-free living is less about doing and more about abiding. Our aim—our only aim—is to be at home in Christ. He’s not a roadside park or hotel room. He’s our permanent mailing address. Christ is our home. He’s our place of refuge and security. We’re comfortable in his presence, free to be our authentic selves. We know our way around in him. We know his heart and his ways. We rest in him, find our nourishment in him. His roof of grace protects us from storms of guilt. His walls of providence secure us from destructive winds. His fireplace warms us during the lonely winters of life. We linger in the abode of Christ and never leave. Don’t load yourself down with lists. Don’t enhance your anxiety with the fear of not fulfilling them. Your goal is not to know every detail of the future. Your goal is to hold the hand of the One who does and never, ever let go. So, what does a life without anxiety look like? Max Lucado: With God as your helper, you’ll sleep better tonight and smile more tomorrow. You’ll reframe the way you face your fears. You’ll learn how to talk yourself off the ledge, view bad news through the lens of sovereignty, discern the lies of Satan, and tell yourself the truth. 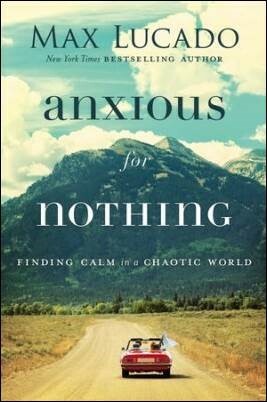 You’ll discover a life that’s characterized by calm and will develop tools for facing the onslaughts of anxiety. It’ll require some work on your part. I certainly don’t mean to leave the impression that anxiety can be waved away with a simple pep talk. In fact, for some, God’s healing will include the help of therapy and/or medication. If that’s the case, do not for a moment think that you’re a second-class citizen of heaven. Ask God to lead you to a qualified counselor or physician who’ll provide the treatment you need. This much is sure: It’s not God’s will that you lead a life of perpetual anxiety. It’s not his will that you face every day with dread and trepidation. He made you for more than a life of breath-stealing angst and mind-splitting worry. He has a new chapter for your life. And he’s ready to write it. You write that God’s sovereignty gives Christians an inside track to peace. How? Max Lucado: Sovereignty is the term the Bible uses to describe God’s perfect control and management of the universe. He preserves and governs every element. He’s continually involved with all created things, directing them to act in a way that fulfills his divine purpose. That’s why the most stressed-out people are control freaks. They fail at the quest they most pursue. The more they try to control the world, the more they realize they cannot. Life becomes a cycle of anxiety, failure; anxiety, failure; anxiety, failure. We can’t take control, because control is not ours to take. The Bible has a better idea. Rather than seeking total control, relinquish it. You can’t run the world, but you can entrust it to God. This is the message behind Paul’s admonition to “rejoice in the Lord.” Peace is within reach, not for lack of problems, but because of the presence of a sovereign Lord. Rather than rehearse the chaos of the world, rejoice in the Lord’s sovereignty, as Paul did. Sovereignty gives the saint the inside track to peace. Others see the problems of the world and wring their hands. We see the problems of the world and bend our knees. What do you say to those who feel God is far away when life is most stressful? 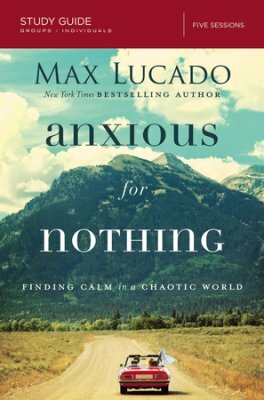 Max Lucado: The Lord is near! You’re not alone. You may feel alone. You may think you’re alone. But there’s never a moment in which you face life without help. God is near. God repeatedly pledges his proverbial presence to his people. Don’t assume God is watching from a distance. Avoid the quicksand that bears the marker “God has left you!” Don’t indulge this lie. If you do, your problem will be amplified by a sense of loneliness. It’s one thing to face a challenge, but to face it all alone? Isolation creates a downward cycle of fret. Choose instead to be the person who clutches the presence of God with both hands. We can calmly take our concerns to God because he’s as near as our next breath! How does prayer affect anxiety? Max Lucado: Peace happens when people pray. “Cast all your anxiety on him because he cares for you” (1 Peter 5:7 NIV). Casting is an intentional act to relocate an object. Let this “throwing” be your first response to bad news. As you sense anxiety welling up inside you, cast it in the direction of Christ. Do so specifically and immediately. Find a promise of God that fits your problem, and build your prayer around it. These prayers of faith touch the heart of God and activate the angels of heaven. Miracles are set into motion. Your answer may not come overnight, but it will come. And you will overcome. Can gratitude calm frayed nerves? How would you encourage someone who doesn’t know how they’ll survive life’s current storm? Max Lucado: Paul’s answer to that question is profound and concise. “The peace of God, which surpasses all understanding, will guard your hearts and minds through Christ Jesus” (Phil. 4:7). As we do our part (rejoice in the Lord, pursue a gentle spirit, pray about everything, and cling to gratitude), God does his part. He bestows upon us the peace of God. Note, this is not a peace from God. Our Father gives us the very peace of God. He downloads the tranquility of the throne room into our world, resulting in an inexplicable calm. We should be worried, but we aren’t. We should be upset, but we’re comforted. The peace of God transcends all logic, scheming, and efforts to explain it. How do our thought patterns shape our perspective on life’s difficulties? 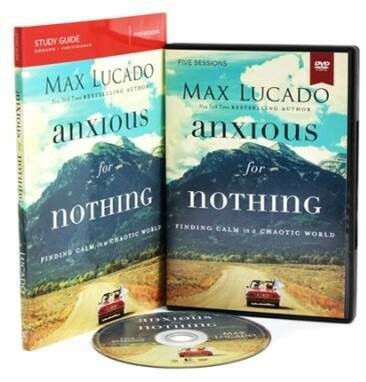 Max Lucado: There are many things in life over which you have no choice. But the greatest activity of life is well within your dominion. You can choose what you think about. You can be the air traffic controller of your mental airport. You occupy the control tower and can direct the mental traffic of your world. Thoughts circle above, coming and going. If one of them lands, it’s because you gave it permission. If it leaves, it’s because you directed it to do so. You can select your thought pattern. For that reason, the wise man urges, “Be careful what you think, because your thoughts run your life” (Prov. 4:23 NCV). Do you want to be happy tomorrow? Then sow seeds of happiness today (count blessings, memorize Bible verses, pray, sing hymns, spend time with encouraging people). Do you want to guarantee tomorrow’s misery? Then wallow in a mental mud pit of self-pity or guilt or anxiety today (assume the worst, beat yourself up, rehearse your regrets, complain to complainers). Thoughts have consequences. Healing from anxiety requires healthy thinking. Your challenge is not your challenge. Your challenge is the way you think about your challenge. Your problem is not your problem; it’s the way you look at it. 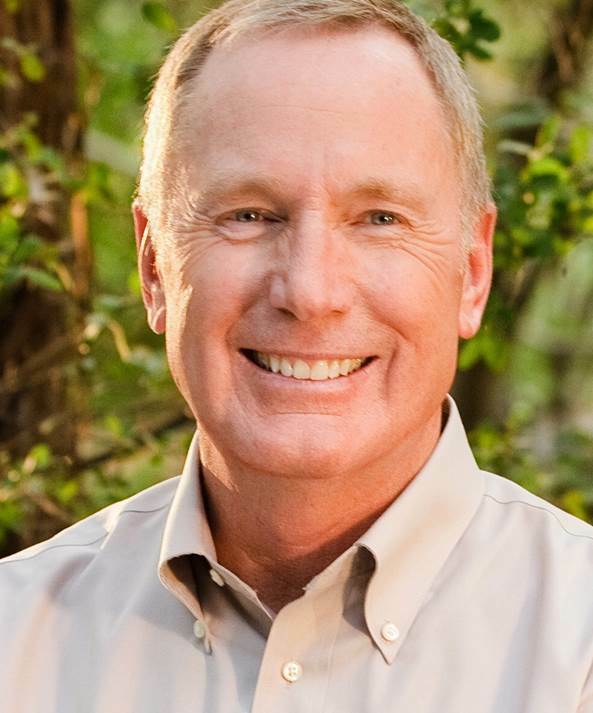 Bio: More than 130 million readers have found inspiration and encouragement in the prolific writings of Max Lucado. Browse his books in the Bible Gateway Store. 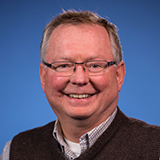 Max lives with his wife, Denalyn, and their mischievous mutt, Andy, in San Antonio, Texas, where he serves the people of Oak Hills Church. Get biblically wise and spiritually fit with Bible Gateway Plus. See how!